Imagination Nation…An elephant in the wild “presses re-set” and starts civilization from scratch. Michael’s Soccer Triumph…A loving aunt from Mexico supports the little soccer player who could. Mailman Joe…The faithful, food-loving mailman faces a delivery challenge while negotiating his train out west. Attention elementary school teachers and teachers of Spanish language! 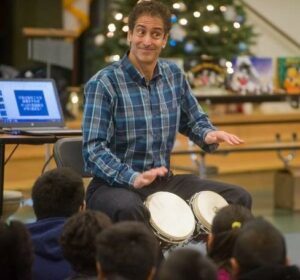 Train your students to find English / Spanish word connections with 3 new rhyming, mini-picture books by award-winning author Matthew Gollub. Bundled set for just $9.95 + FREE SHIPPING! Each beautifully illustrated, 8-12 page story features dozens of related words in English and Spanish such as fruit / fruta, elephant / elefante. They also introduce sophisticated vocabulary that will challenge older students—and maybe grown-ups, too: verdant / verde, prudent / prudente, edifice / edificio, etc. Bilingual author notes and word matching activities in included. 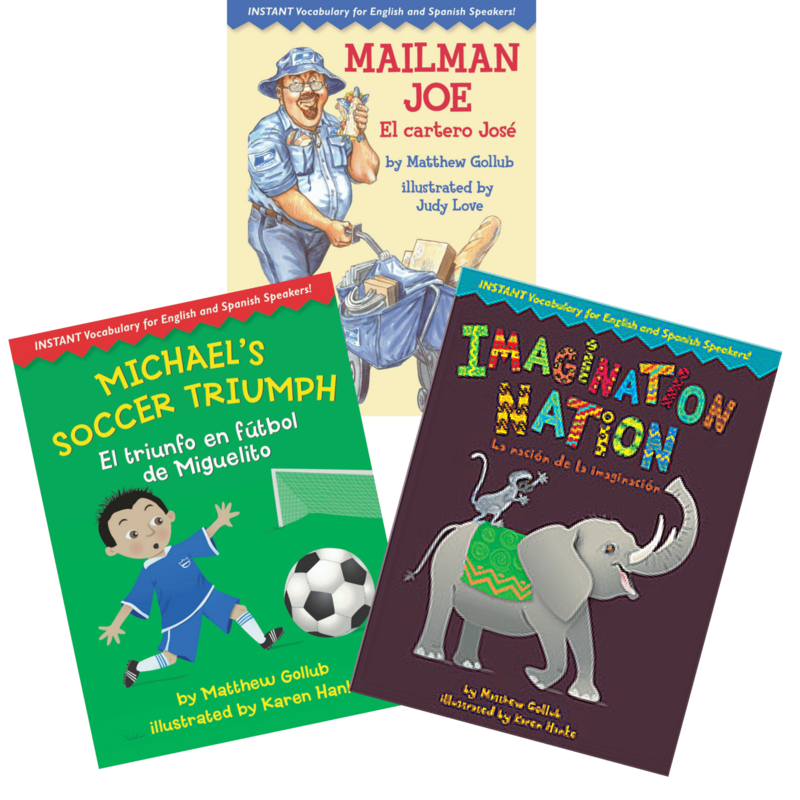 Perfect for classroom enrichment and for bilingual families to share at home.